There’s NO grip like the iGRIP. Maximize control and comfort with the iGRIP – 5 blade razor in either a chrome or black handle finish. Consisting of 5 blades for an ultra smooth finish, this razor handle features a longer, laser engraved or knurled grip to ensure your shaving experience is nothing but what you deserve, a clean, close shave every-time. Compatible and comes with a Gillette® Fusion™ blade – and compatible with Gillette® Fusion™ ProGlide™ blades. Holiday Promotion Thru December 31st. 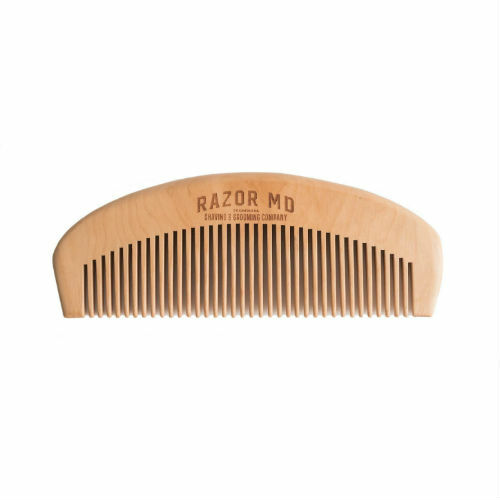 Free Shipping and Free Razor MD Wood Comb with Every Purchase! Circa 1920. Brooklyn, NY. An immigrant comes to America with dreams of making a better-looking life for his family. After putting himself through pharmacy college he opens his first business, Saltzman Pharmacy. This was my great-grandfather, Peter Saltzman. Later his son Ralph (my grandfather) enters the pharmacy business and takes over Saltzman Pharmacy until my own father would become a pharmacist.